Storage Bag Reusable storage bags keep equipment contaminant-free. Large 14" x 16" transparent bag with zipper for positive closure. 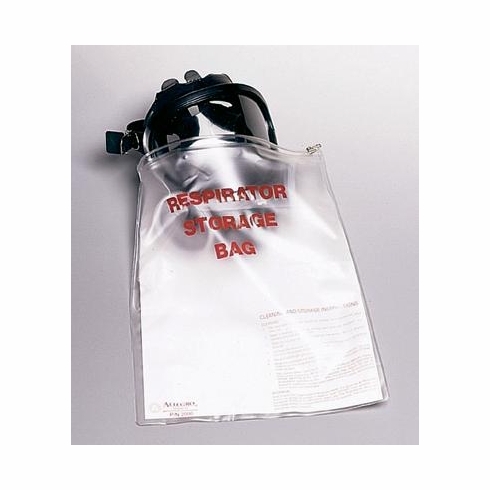 Respirator cleaning instructions are printed on bag.